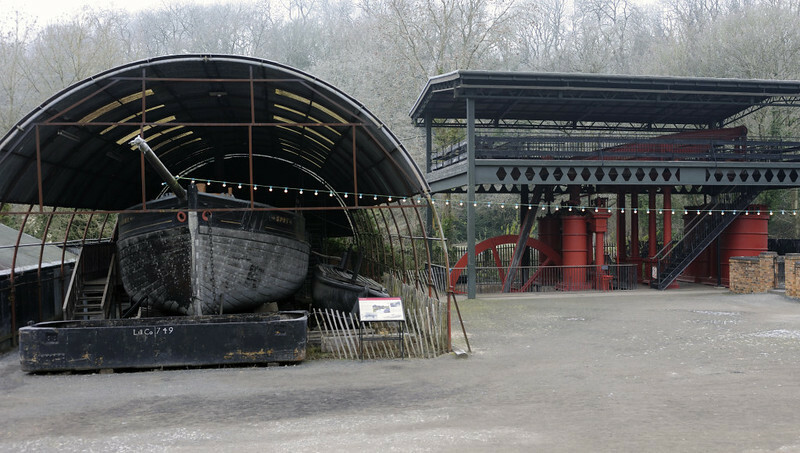 Spry , Blists Hill, Ironbridge Gorge Museum, 13 December 2012 1. Spry is a sail-powered trow, built in 1894 to carry limestone from Chepstow to ports on the lower Severn. Spry was one of the last and largest Severn trows built, and is now the only survivor. In front is a horse-drawn tub boat built of wrought iron in about 1830 to carry coal on canals such as the Shropshire. At right are the David & Sampson blowing engines.